As promised, OnePlus unveiled its most expected premium smartphone – OnePlus 6T last week. The company also announced pop-ups in 9 cities across 13 locations – Bangalore, Mumbai, Pune, Kolkata, Delhi, Chennai, Hyderabad, Ahmedabad and Jaipur in the country on November 2, 2018. With that being said, the primary aim of pop-ups is that people and fans can experience and even buy the new OnePlus 6T on November 2. Even before the launch and of course after the launch, the latest OnePlus 6T managed to generate and sustain a lot of buzz among tech enthusiasts and masses. With that being said, it’s quite interesting to see the hype around the OnePlus 6T, which is not just from the company but is largely driven by passionate technology fans and the loyal community base as well. Thanks to the futuristic Screen Lock, bigger battery and water drop notch. OnePlus involve themselves in various promotions and activities in a bid to reach out to the audiences and community members. One of the major strategies this time is that the company has been focusing on expanding its footprint in the offline market recently. 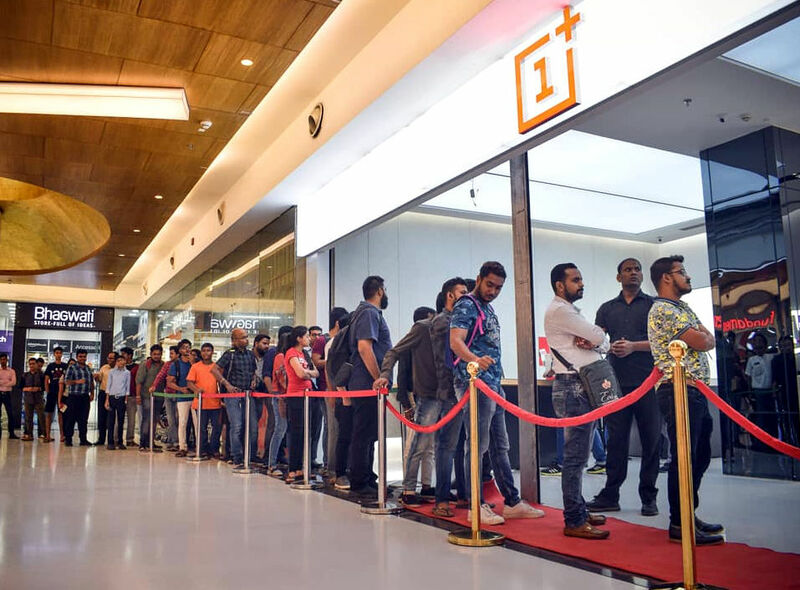 In addition to its authorized stores in several cities, OnePlus also announced its partnership with Reliance Digital and Croma as a retail touch point for customers to experience and purchase across cities in India. Besides, OnePlus conducts Pop-ups across cities as a tradition following the product announcement. The exciting stuff about the pop-ups is you get to play with the brand-new product, which is OnePlus 6T in this case and second, you get to talk to the brains behind the product including global product managers and other top OnePlus executives. As usual, this year too there were many pop-up events in various cities across the globe. 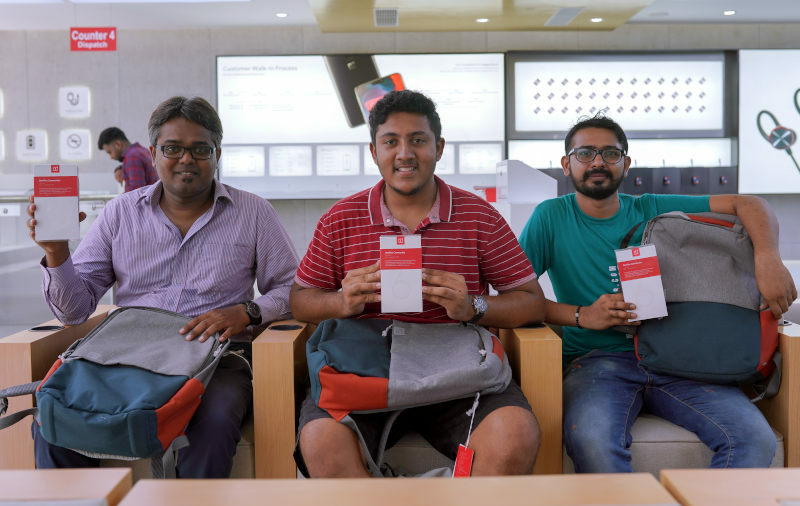 In India, fans across nine cities had an opportunity to experience and even buy the new OnePlus 6T. Having said that, if you attend any of these events, you would know the hype is absolutely real. 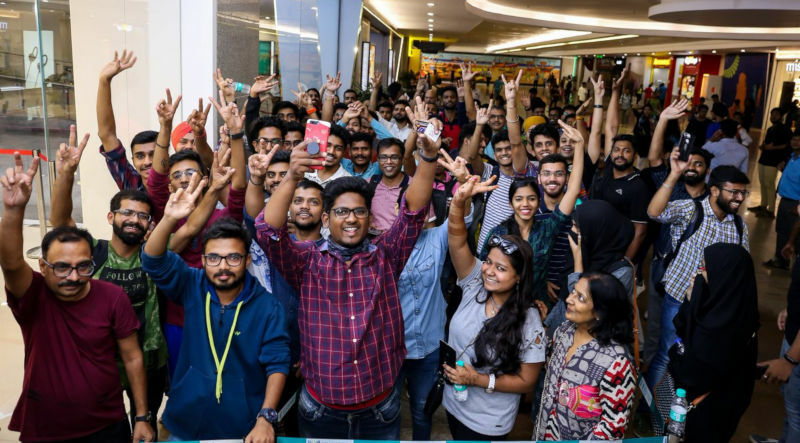 In Bangalore, fans camped out overnight in front of the Bangalore Experience Store to be first in line and other locations had people travelling from neighbouring cities and camping out from 6:30 AM in front of the store. This demonstrates the popularity of OnePlus among the young audience. However, we aren’t really surprised with this reception, because OnePlus 6T is arguably the best premium smartphone in its price category and we don’t think any other smartphone can offer as much value for money as OnePlus 6T. Reiterating the specifications once again, the OnePlus 6T packs a powerful specification that includes 6.41-inch Optic AMOLED display with an 86% screen-to-body ratio, powered by Snapdragon 845 Mobile Platform with up to 8GB of RAM, dual rear camera setup with a 16-megapixel rear camera and 20-megapixel secondary camera. The front side is taken care of a 16-megapixel Sony IMX 371 sensor on board. It comes with Nightscape mode that can recognize night scenes and delivers brighter, more vivid images with more clarity and less noise. It runs Android 9.0 (Pie) with OxygenOS 9.0 with support for Android’s full-screen gestures. It has an in-display fingerprint sensor, which it calls ‘Screen Unlock’ that can also be used to quick launch apps using the customizable app shortcut bar. The OnePlus 6T comes in Mirror Black and Midnight Black. The 6GB RAM with 128GB version is priced at Rs. 37,999, 8GB RAM with 128GB storage version costs Rs. 41,999 and the top-end 8GB RAM with 256GB storage version cost Rs. 45,999. You can buy it on OnePlus.in, Amazon, OnePlus stores, Reliance Digital and Croma stores offline.